I was talking about "flushing" out facts during diligence, so I guess I had it right. Mark my words: Members Only is on the way back. 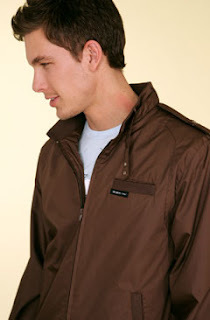 Members Only's unique, classy, retro 80's style jackets will rule the day in the spring of 2008. An old school calculator watch makes a great accessory for your new Members Only jacket. Since I'm always ahead of the trend curve, I'm rocking a light gray beauty with scarlet trim similar in style to the jacket in the picture.